The Zhou Brothers work collaboratively on each piece they create, often communicating in a dream dialogue. In 1973 DaHuang and ShanZuo finished their first painting together and have continued this collaborative process in multiple media together since. The exhibition Feeling Is Liberty symbolically represents 40 years of the Zhou Brothers artistic collaboration process. 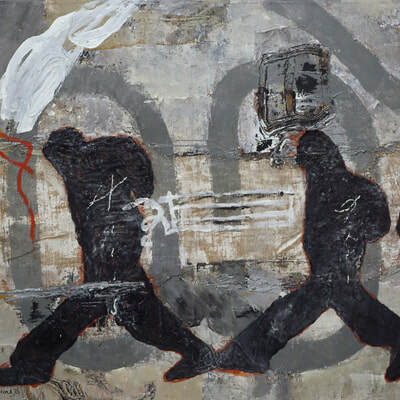 In 1973, the two brothers created their first collaborative work during the Chinese Cultural Revolution period. Forty years later and after a long journey crossing personal and geographic borders, they present a solo exhibition, which embodies their unique approach to art and life. Feeling is Liberty is not only the philosophy for their art but also a whole philosophy of life, which has informed every aspect of their artistic journey. Feeling is Liberty has become the subject of philosophical study around the world. The exhibition, which is presented at the Zhou B Art Center's main gallery, gives an insightful view into their life's journey and their honest pursuit of a life devoted to creation. 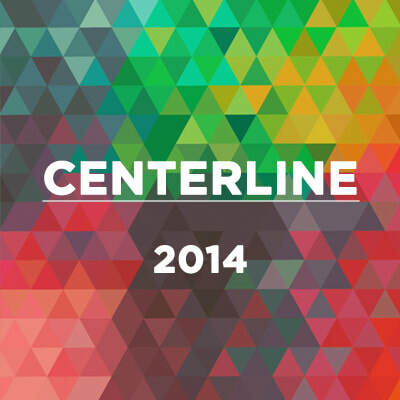 "Centerline: TEN" is an exhibition celebrating the 10th year anniversary of the Zhou B Art Center. Curated by Sergio Gomez, Centerline: TEN provides a wide angle view into the diverse community of artists who find their creative home at the Zhou B Art Center. Each work reflects the personal, social, political, or psychological border crossings each artist experiences in his/her own creative process. Established by the Zhou Brothers, the Zhou B Art Center has become a creative hub crossing borders between Chicago and the international art community. Artist(s): InJung Oh, Robin Rios, Mario Gonzalez Jr, Christine Forni, Carl Virgo, Diana Levington, Rine Boyer, Jenny Lerner, Linc Thelen, Herber Migdoll, yva Neal, Corinna Button, Amy Donaldson, Renee LaVerne Rose, Tye Johnson, Sally Ko, Daniel Guidara, Damon Hendricks, Lori Murphy, etc. A hospital is filled with noise. A hospital is an interference. As so many of our students tell us, being a patient in a hospital, no matter how good the hospital and how expert and kind the medical staff, is an unwelcome and noisy interruption. This hospital noise is a static that gets in the way of what these students really want to experience: the normal, everyday life of a child or young adult. While we are always astounded at the quality of the artwork students draw, paint, direct, write, and compose, we are equally in awe of the fact that the students are doing this work amidst the noises coming from ever-beeping monitors, PA announcements, doctors’ and nurses’ questions, daytime TV shows, parents’ phone conversations, and crying babies. The students are able to block out these noises, block out the hard fact of their context, and be productive and talented artists rather than patients. It is this transformation we honor with a different sort of noise—the noise of delight, which is laughter. Laughter is the happy punctuation of something we want to experience and have enjoyed experiencing, and this happy noise rings through these works of art, all made under the auspices of our arts education programs in visual art, film, music, theater, and poetry. 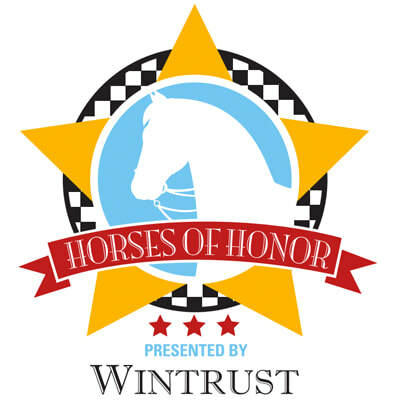 “Horses of Honor”, presented by Wintrust, is a public art installation that features life size fiberglass statues of Chicago's Police Horses, artistically designed by artists ranging from local to internationally renown. Each horse in Chicago's Mounted Police Unit is named after a fallen police officer, and in carrying on this tribute, a collection of 75-100 horses sponsored by local businesses, will be on display at key locations throughout downtown Chicago from September 11 thru November 2014. Each horse, standing 6-feet tall, 6-feet long and nearly 3-feet wide, will include a plaque identifying the horse's name, sponsor and the artist. 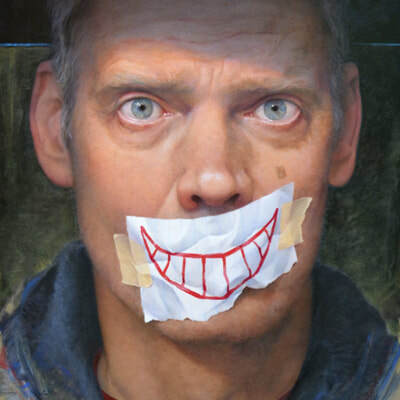 The Zhou B Art Center and 33 Contemporary Gallery present “Curator's Choice: The 10th National Self Portrait Exhibition”. This annual event began in 2005 at then 33 Collective Gallery as a way to explore and document the long history and practice of self-portraiture in contemporary art. To celebrate the final year of this annual exhibition, curator Sergio Gomez has personally invited a selection of artists who have exhibited within the last ten years. This exhibition titled "Curator's Choice" celebrates one decade of contemporary self-portraiture. It opens on July 18th in the spacious second floor gallery of the Zhou B Art Center. Artist(s): Terry Adams, Dan Addington, Stephanie Addington, Tim Arroyo, Rine Boyer, Corinna Button, Matthew Cherry, Maribeth Coffey-Sears, Rory Coyne, Jennifer Cronin, Pia Cruzalegui, Dan Davidson, Alma Dominguez, Benjamin Fedosky, Christine Forni, Miranda Graham, Mario Gonzalez Jr., Patrick Earl Hammie, Juarez Hawkins, Jason John, Lauren, Levato Coyne, Diana Leviton Gondek, Liz Mares, Mays Mayhew, Gabriel Mejia, Jennifer Moore, InJung Oh, Leasha Overturf, Joyce Owens, Alfonso Piloto Nieves, Robin Rios, Marina Ross, James S. Rousonelos, Erin McClellan Zhoushi, Masani Landfair, Jessica Segal, Jeff Stevenson, Len Upin, Garry Vettori, John Walker, Great Zakrzewska, Marzen Ziejka, John Zilewicz, and Jill Zylke. The Zhou B Art Center is pleased to present the solo exhibition “Subconscious Plot” by emerging Chinese photographer Lakita. This exhibition comes directly from China to debut in US in the spacious second floor gallery of the Zhou B Art Center. To discover the process of individual consciousness, Lakita's work embodies a reflection of her participation in society. The simple elements of her creations, as seen from the characters and backgrounds, are also her state of mind's presence and absence in society. Lakita's unique personal vision which fusions fine art and fashion photography provides the viewer with an insight into the subconscious elements of our postmodern life experience. Even though Lakita employs beauty as her language for creation and connects her love for life, it is through her interaction with humanity that she chooses to stray away from the face value of its contents. Using the photographic medium as a tool for awareness, Lakita digs and processes the scenes from the abstract mind, exploring ways to control the uncontrollable thoughts. ​Lakita, a fashion photographic artist, is considered the first in advocating the Fashion Art Photography Concept in China. While still in school, Lakita won numerous awards such as Academy Awards (China) and Times Awards (Taiwan). During her career, Lakita worked with a number of renowned magazines including Harper's Bazaar, Esquire, Rob's report, Vision, Modern Weekly, Lifestyle, Hotspot, Elegance, Grace, Fashion Weekly, Milk, 1626 and 0086. She has held 4 individual photography exhibitions in Beijing 798 art zone (2008), Shenzhen OCAT (2009), St. Petersburg (2010), and TaikooHui Guangzhou (2013), and was invited to attend the fourth international photography exhibition in Lianzhou, China in 2008. In 2011, she was invited to attend "Dig The New breed" fashion exhibition in London. In 2013, Lakita collaborated with South African street artist Faith47 in Art Basel Miami Beach exhibition. Lakita was praised by the magazine Milk (Hong Kong) as one of the most pioneer young female photographers in China; she was also praised by the professional design magazine 360 concept and design as the only female cutting-edge and creative photographers. In 2011, the first “Gaze & Dialogue Photography Contest” project received high praise. Because of its success, the event sponsors hosted “Gaze & Dialogue II Photography Contest” in 2013. “The Gaze & Dialogue” project promotes cultural exchange between China and the United States through photography in order to further mutual understanding and friendship between the two countries. “Gaze & Dialogue II” focuses on shooting scenic spots featuring two caves: Tenglong Cave, Hubei, China; and Mammoth Cave National Park, Kentucky, USA that are thousands of miles apart. 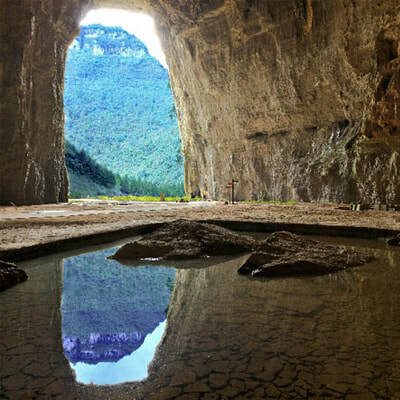 These two magnificent caves are amongst the largest natural caves on their respective continents. Chinese and American photographers were invited to show their vision of the world through their photographs. 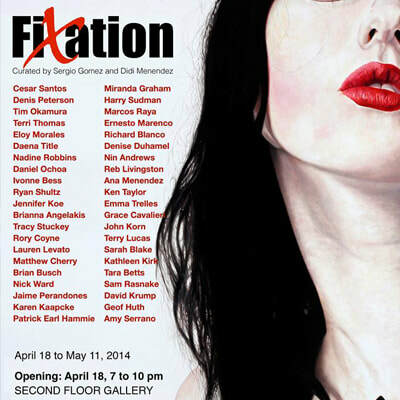 “Fixation” is an exhibition and a publication of art and poetry focused on the physical/psychological preoccupation or obsession over an object or subject. The exhibition explores the subject of fixation as a continuous and elusive preoccupation of our human experience through written and visual art. The curators invited 24 artists and 17 poets to create works based on their understanding and perception of the theme of fixation. 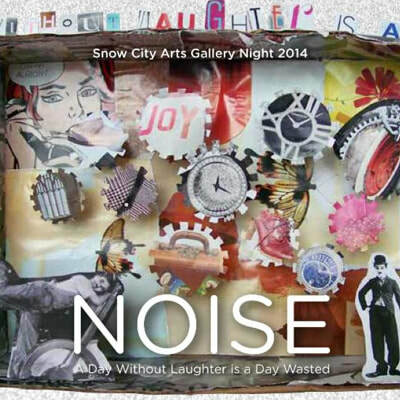 The result is a group exhibition including painting, drawing, photography and poetry. Each work brings light to the artist's own preoccupations unearthed by his/her personal fixations. “Fixation” takes place in a gallery setting, print and digital formats. Artist(s): Terri Thomas, Brianna Angelakis, Rory Coyne, Matthew Cherry, Ryan Shultz, Eloy Morales, Denis Peterson, Lauren Levato Coyne, Nick Ward, Patrick Earl, Hammie, Miranda Graham, Harry Sudman, Marcos Raya, Ernesto Marenco, Karen Kaapcke, Jennifer Koe, Ivonne Bess, Cesar Santos, Daena Title, Nadine Robbins, Tracy Stuckey, Brian Busch, Daniel Ochoa, and Jaime Valero. Poet(s): Sarah Blake, Ana Menendez, Ken Taylor, Richard Blanco, Tara Betts, Grace Cavalieri, Kathleen Kirk, Terry Lucas, Denise Duhamel, Nin Andrews, Reb Livingston, Sam Rasnake, Amy Serrano, Geof Huth, David Krump, John Korn, and Emma Trelles. The group MFA show is the culmination of NIU's three-year graduate studio art program. The pieces shown are the thesis projects and research of the MFA candidates. The ten artists include five painters, two sculptors, a metalsmith, a printmaker, and a video installation artist. Chambers' paintings are alla prima explorations of her interactions with the landscape's reality. Colby's work plays with perception and visual distortion while referencing architectural forms. Haring's paintings are intimate meditations on humble objects and the detritus of studio life. Michalik's paintings address abstract expressionism and decoration. Willadsen's two-dimensional work is a means to process the world around her as she fights to remain in her private introspective space. Armstrong's most recent sculpture is homage to a group of anonymous mid-twentieth century sculptors. Ma's sculpture uses the tactile sterility of acrylic and metal to contrast organic forms of nature. Murphy is a sculptor who works primarily in clay to explore systems of structure, unity, and division. Jasa's large-scale drawings are an exploration of the psychological state that results from living in a state of constant inevitable crisis. Fedak's video installation explores contemporary mythology by investigating commercial entertainment. "These are some of the most talented of our MFA candidates in years," said Frank Trankina, chair of the Painting Department. "Their dedication to their practice is impressive and will give them the foundation necessary for promising careers in the art world." Artist(s): Stephanie Chambers, Laura Colby, Samantha Haring, Tess Michalik, Sara Willadsen, Steve Armstrong, Karen Murphy, Agnes Ma, Daniel Jasa, and Christopher Fedak. 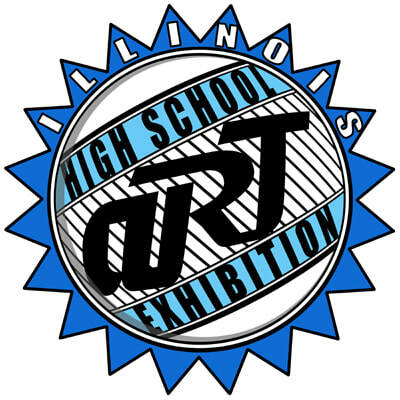 In its first year, The Illinois High School Arts (IHSA) will host a show including artwork from 325 student artists that each attends one of 65 high schools in the Chicagoan area. A show of this scale has never been done before in Illinois. "Our goal was to make a show that praises and promotes the successes of Illinois' High school art programs in the same way that high school sports programs are recognized," says Jonathan Reiman, Art Teacher at Kenwood Academy High School and Public Relations Director for the IHSA. "We wanted to encourage the talent that our state has and promote futures within the arts." In addition to the exhibition, Benjamin Jaffe, Art Teacher at Senn High School and Senior Portfolio Director for the IHSA, has worked diligently to develop a senior scholarship program where seniors in high school can submit portfolios of their art for review by over 25 colleges and universities across the country. These schools then have the opportunity to award students scholarships that range from partial to full tuition. "Zhou Brothers: American Period" presents a selection of works from the 1990's as one of the most pivotal periods in the art career of the Zhou Brothers. A decade that was characterized by permanently establishing themselves in Chicago while projecting exponentially in Europe and throughout the world. In 1990, the Zhou Brothers settled in Chicago by purchasing their present studio in Bridgeport calling it a "paradise". At that time, they ventured on their first trip across Europe, which took them to France, Germany, England and Spain. In 1993, the Brothers had one of their most productive work periods in preparation for traveling museum shows in Germany and Hungary. East West Publishing produced the catalogue "The Zhou Brothers" with the first full scale monograph written by Gerald Nordland. In 1994, the Chicago International Art Exhibition commissioned the Zhou Brothers to create an installation celebrating their 15th anniversary. They created "Wind Wisdom", an installation that covered 36,000 square feet at the end of Chicago's Navy Pier. In 1996, the Zhou Brothers accepted an invitation to teach at the International Academy of Art and Design in Hamburg as guest professorships. They created a series of sculptures entitled "Time Square" and finished the steel sculpture for the Francis Parker School in Chicago. The Zhou Brothers also participated in the exhibition "Art in Chicago 1945-95" at Chicago's Museum of Contemporary Art. In 1998, the Brothers created eight large sculptures in Berlin and presented a solo sculpture exhibition at Art Cologne. The same year, the Brothers returned for a guest professorship at the International Sommerakademie in Salzburg, Austria where they promoted their philosophy and style under the guideline "Feeling is Liberty". During the 90's, the Zhou Brothers gave many successful painting performances around the world. In 1995, they performed in Portland, Oregon; in 1996 during their tenure at Pentiment at the School for Art and Design in Hamburg, Germany; in 1997 at the Nahan Gallery in New York; in 1998 they created "Life as Music" at Salzburg, Austria; in 2002 they performed at Galerie Rackey in Bad Honnef, Germany, and at Santa Barbara, California. The last performance in 2003 took place in Philadelphia. 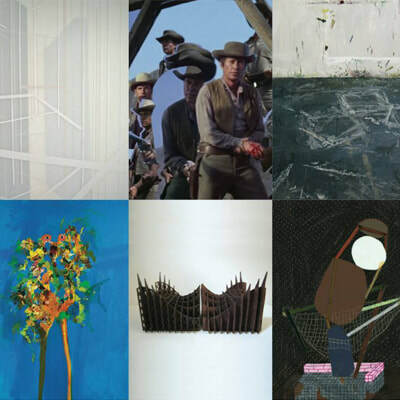 “The National Wet Paint MFA Biennial Exhibition 2014” is an outlook and an overview of top MFA painting programs in the United States. “Wet Paint” refers to the idea that this is a fresh group of artists. 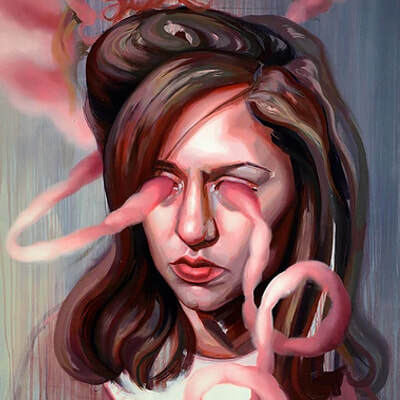 They are MFA (Masters of Fine Arts) candidates and recent MFA recipients working primarily in the medium of painting. Now on its fourth edition this growing and highly competitive juried exhibition will bring to Chicago some of the most talented emerging artists in the country. “Wet Paint 2014” is fully funded by the Zhou B. Art Center, which makes it possible for graduate students to submit works for consideration at no cost. 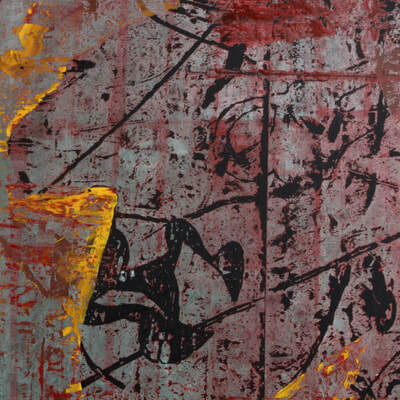 “Wet Paint 2014” takes place from January 13 to February 15 in the spacious second floor gallery of the Zhou B Art Center. “Wet Paint” is juried and curated by Sergio Gomez, MFA. “Wet Paint 2014” seeks to highlight traditional and experimental ways contemporary artists incorporate and embrace painting as their primary medium.